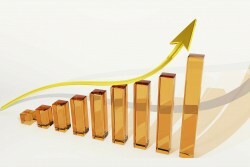 In the third quarter of 2013, Poland´s economy will grow by 1.0% year on year. Poland´s Deputy Minister of Finance Wojciech Kowalczyk told to reporters that the country´s economic development faces a trend reversal. After a growth rate of 0.1% in the first quarter and 0.8% in the second quarter, the Polish economy begins to accelerate. In the third quarter, GDP growth will reach about 1.0% or 1.1%, Kowalczyk said.